I first learned of Richard Lange through my friend Pop Culture Nerd, who raved to me about his work and then wrote stellar reviews of both of Lange's novels, This Wicked World and Angel Baby. Click the links to read those reviews, they're right on. Being a fan of Lange's work, I was thrilled to meet him at Bouchercon last year, where I picked up both of his sets of stories, Dead Boys (published in 2008) and Sweet Nothing, which just came out February 12th. 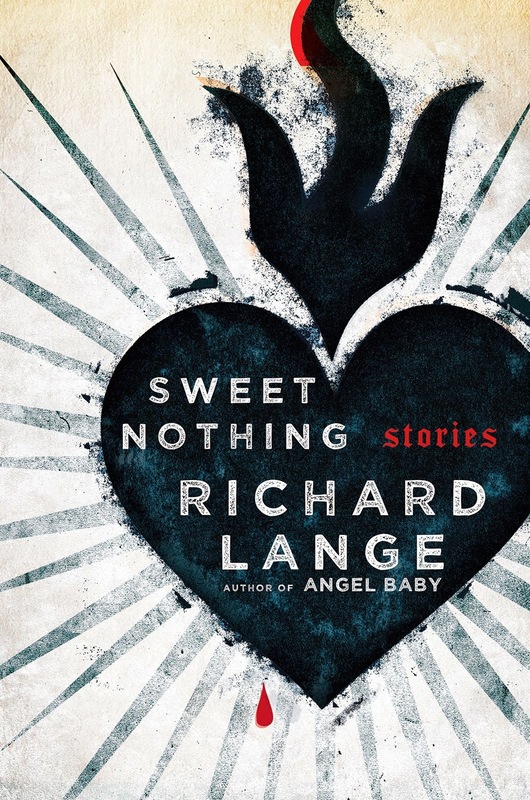 Sweet Nothing is an outstanding set of stories, told in Lange's eloquent, almost poetic, prose. Each story provides a glimpse at individuals from different walks of life, with various relationships to the line between right and wrong, and whose wants, needs, and desires are butting up against the laws of justice, humanity, and/or morality. In the opener, Must Come Down, Haskell goes on a drive with his visiting father-in-law, David, a gemstone "middleman," and learns there is a seedy side to David's business dealings. Haskell becomes more and more complicit with each stop they make, but his discomfort is in direct conflict with the reality of his life, where he and his wife wouldn't be able to make it financially without David's monthly stipend. Confronted with the power David holds over him, Haskell must decide how that power is going to impact him. He thinks he's got me there. A real Big Daddy moment, a real life lesson. But hypocrisy is the least of my worries, I have plenty of other good stuff to hate myself for. Perhaps if I talked to a priest, I thought, he'd have some words of reassurance about the thickness of the walls between worlds and how one can wrestle with evil without being infected by it. I wouldn't have believed anything he said, but it might've provided temporary solace, like a soothing balm for a wound that can never heal. Whether you see them as good or bad, the people of Lange's stories are human, and therefore flawed, many deeply so. Yet the circumstances in which they find themselves are perhaps only a wrong turn or two from our own. Or perhaps we've walked in similar shoes. Lange's characters rarely outrun their flaws in these stories, but just as you begin to think everyone loses, Lange drops some moments of such hope and grace on you they hit like an anvil, all the more powerful for what came before them. I never thought about life before mine started to go wrong, I just lived it, like everybody else. But then you lose your job, and your wife leaves you for the neighbor and takes your kids, and you go from whiskey to weed to coke to crack just like the commercials warn you will. You lie and cheat and steal until one night you find yourself holding a knife on this guy, Memo, who's supposed to be your buddy, your partner in crime, and Memo gets the jump on you and gives you a concussion and you come to in jail the next day, bleeding out of your ear. Stuff like that raises questions: Why me? What next? Where will it end? Yet even in his despair, Dennis has empathy for both Troy and a young mother who sits in the Subway at night, hoping her young daughter will come out of the coma she's been in since being hit by a car. Sweet Nothing is so many things. A "There but for one bad decision go I" story, a "Don't judge a man until you've walked in his shoes" story, and a story about not losing your humanity when you've lost just about everything else. I could keep quoting from Sweet Nothing all day, but instead will implore you to pick up your own copy. The architecture of Lange's writing alone is worth the price of admission. STREET SENSE: A beautiful collection of stories about flawed people we may think we can't relate to and could never become, but ultimately realize are just one wrong step through a gauzy curtain away. A FAVORITE PASSAGE: The right woman can work miracles. I've seen beasts tamed and crooked made straight. But in order for that to happen, you have to be the right man, and I've never been anybody's idea of right. COVER NERD SAYS: I liked this cover before I read the book, it's a lovely piece of art even on a surface level. But I really came to appreciate it after I read the stories within, felt a bit closer to that bleeding heart so close to being pierced, yet still emanating rays of, what? Hope? Love? Light? Maybe, if we're lucky, all three. Your favorite passage, and the others--damn, that man can write. One of the things I love is the rhythm of his words; it's almost like poetry. I like your analysis of the cover, too. Thanks for linking to my reviews!